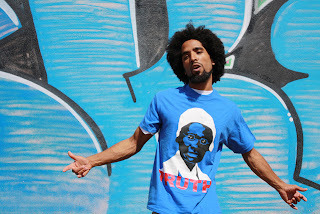 If you enjoy authentic underground Bay Area hip-hop with a sociopolitical edge, the music of Unity Lewis is what you are looking for. Also known as Young Precise for the surgical lyrical delivery, the man is an MC with a message that informs and inspires. As a community organizer, he connects with troubled urban youth because of his own harsh experiences growing up with gangs in Oakland and L.A. His reggae and funk-inspired compositions about real inner city life in America has earned him a fan base across California. I spoke to the talented artist and producer about the foundation of hip-hop, the free EP he’s working on for November, and how cannabis can help and heal us all. It’s good to talk to you. How is everything? I’m in Bogotá, Columbia, right now, on my way to Venezuela. I stopped by to visit some friends. You combine reggae and hip-hop with tremendous effect. The two music genres always work well together. Why is that? Do they share a similar origin? Well, reggae came first. Hip-hop was imported. Reggae was invented in Jamaica, where rockers who were into ska music and dub would play against each other in a sound clash. This was where they’d set up a van with huge speakers, and one sound system would be battle another. The original MC would put up a dub on the mic and do toasting, one of the first forms of rap. MC’ing comes from toasting. What can your fans look forward to from you in November? In November I’m dropping another free EP. I’m giving people a taste of an album I did called Pray. It just was released on iTunes after for its ten-year anniversary. This is the first time the album is going to be available on its own. It’s the first album I produced by myself. The following week I will be dropping an EP with Tai Chi, a.k.a. Don Juan Immaculate. He’s an in-house producer for the Napalm Clique, my old group, and we’ve done a lot of songs together over the last couple of years since then. You can expect four songs. 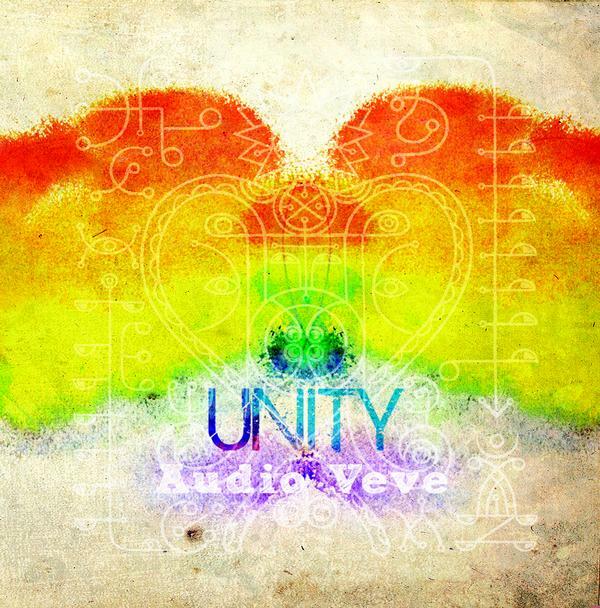 I have Audio Veve Part 1 coming out, too. There’s a big connection between Rastafari culture and cannabis. But going beyond stereotypes, can you tell me what it’s really about? When it comes to cannabis, that’s the holy sacrament. You burn it to get back to nature. The plant is a connection to Jah and meditation. The state that it puts you in is meditation. In this day, people just burn to deal with stress. Not all Rastas smoke, and not all Rastas smoke all the time. They know it’s sacred. If you do it all the time it stops being sacred. Do you see cannabis as being a medical and religious issue? It’s a money issue with those fools. They want money. If they can get money, they are happy, but if there isn’t money they feel threatened. The forefathers of America grew weed. It’s only been not cool in America for 100 years, but previous civilizations have used it forever. The government is afraid they won’t be able to control it. They don’t care about the medical issues. We live in highly charged political times, certainly comparable to what America went through during the 60’s. When you rap about oppression, resistance, and unity, do you want people to feel the same spirit music gave protestors during the 60’s? Yes, but I want it to match what we need to do in these times. The circumstances are just as bad but we have to come up with something new, because the opposition has already mastered the techniques that prevent us from doing what we need to do. I try to liberate the spirits and minds of people. A lot of this oppression is what the system gets us to buy into. While most people think of the hippies when it comes to the protest movements of the 60’s, it was African-Americans that took the full brunt of oppression and violence in the fight for civil rights. Do you think that fifty years later, it’s any more or less dangerous for political activists? I feel like it’s just as dangerous as it was back then, if not more. I think it’s worse because people think we’ve made progress, but cops are gunning us down every day in Oakland. It’s still happening, and people are more likely to dismiss it. The problem is that in the 50’s and the 60’s they were killing all of our leaders. That put a lot of intimidation inside of us. 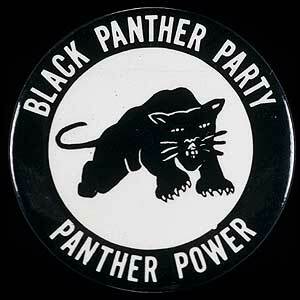 After the Black Panthers were infiltrated and assassinated, our communities were also broken up. Since there was no positive community leadership, we ended up with gangs, crack and other things that destroyed the community. We’re at the point now where we aren’t even aware of the oppression. We are teaching it to our kids. We have to go back, way, way back, to when we were kings and queens, and when we understood ourselves. That knowledge includes values like personal integrity and the importance of family. There are certain things that need to be reinstalled into our community. When all we are doing is chasing a dollar, that’s what oppresses us. We need to boycott the dollar. There’s a major shift coming, and I’m not worried. I just need to keep telling the truth. I used to be super militant. The name of my first album was called Fight. I learned that anytime you fight someone, you are just fighting yourself. I realized that I had to change within for things to change for me in my life. You can’t get anywhere if you are fighting. You have to create, not destroy. There’s always going to be opposition. But what side do you choose to be on? I’m not saying that you shouldn't defend yourself. But I’m also saying it’s not worth sitting around and get a bunch of guns and take out a police station. However, if a person dies before they have a chance to manifest their true purpose, what's the point? The age of the martyr is over. A lot of religions and philosophies that preach benevolence always say that before we change the world, we have to change ourselves. We have all unconsciously or consciously created this situation. I want people to realize what kind of society they are creating with their minds. As a teacher, I like work with the youth to get them into alignment with nature. All of these ancient civilizations described how we were going through many changes. Those cultures were so close to the source. God, in their eyes, was a mentor. Where we are at now is we need to cut through all of these layers…smog, concrete, pollution… I feel like the whole world is a reflection of what is going on inside each of us right now. Unity Lewis at Ballin' Entertainment.